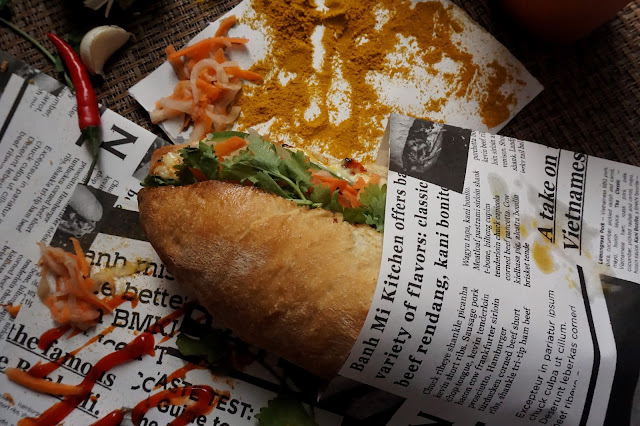 The Vietnamese sandwich banh mi has been around for years. However, it was just recent when foodies took notice of this. 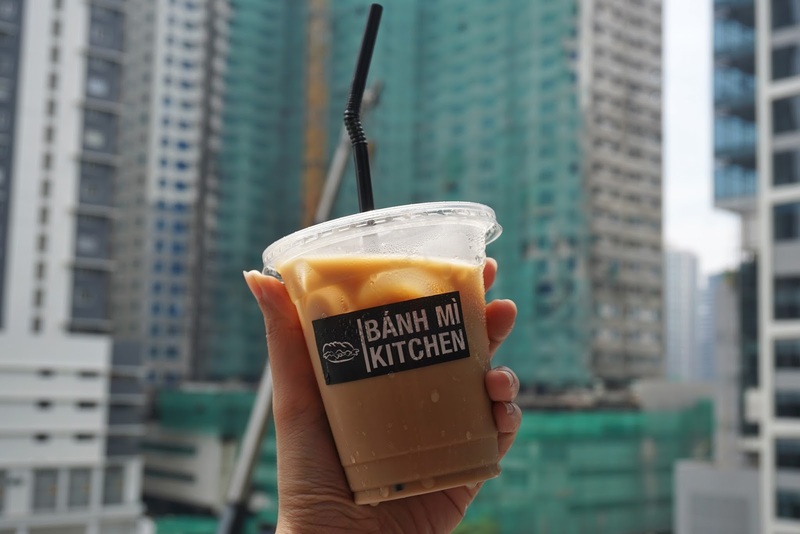 We have the likes of Bon Banhmi, Banh Nam and a few others but none created more buzz than what was known as #CrunchTest. And it continues to be talked about by foodies with its innovative take on the classic Asian sandwich. 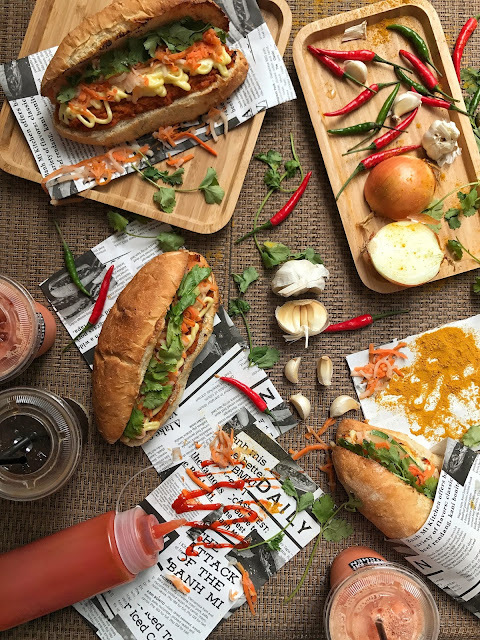 Now with seven branches under its belt, there's no stopping Banh Mi Kitchen from turning Manila food enthusiasts into banh mi lovers. It has established itself as a go to place for crunchy and filling sandwiches. And last week, it released a new mouthwatering variant. 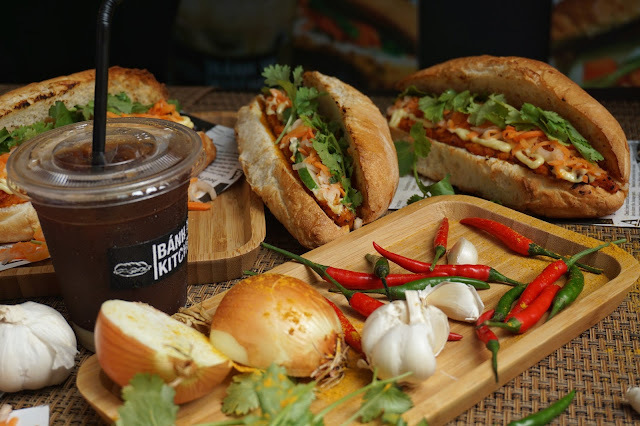 Kicking its premium banh mi in its Bonifacio Global City (BGC) branches Uptown Bonifacio and Bonifacio Stopover, it launched Singaporean Chili Crab last Thursday. Priced at PHP349, it was a lot pricier compared to its regular offerings. But one bite would tell you why it called "premium". The banh mi had generous serving of real crab meat. And by real, I do not mean kani sticks. The flavor was very Asian and familiar. If I were to compare it with a particular dish, I'd say its taste is closest to tom yum. It has a bit of spice and that delectable tangy, sweet and salty taste creating a beautiful complex blend of flavors that work. But it was not love at first bite for me. I was not sure if it was because I had shawarma before indulging in this sandwich or if my taste buds had to adjust to it. But it was love at fourth bite and I couldn't stop munching it afterwards. And my last bite was bittersweet. It was so good that I savored each munch but I felt sad because I had to wait till my next errand till I get to have my hands on another one. 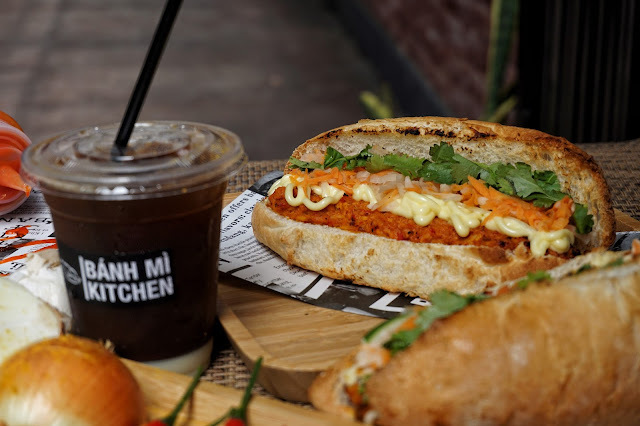 Overall, it was a great addition to the list of products Banh Mi Kitchen offers. I can't wait for the other new flavors they will roll out, hopefully soon! P.S. 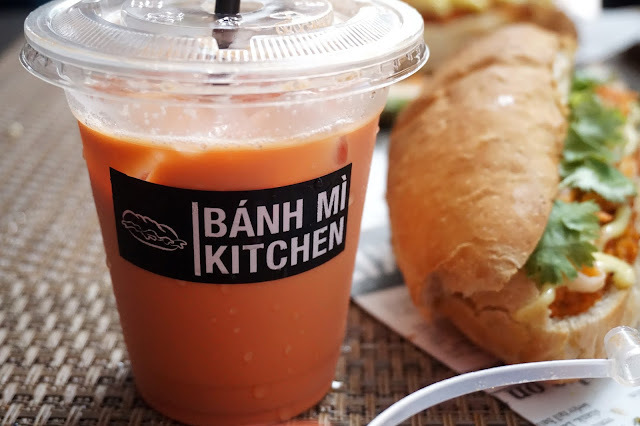 Make sure to pair your banh mi with Iced Vietnamese Coffee or Milk Tea. Banh Mi Kitchen is located at 4th floor, Uptown Bonifacio Mall, 9th Avenue, Fort Bonifacio, Taguig City.